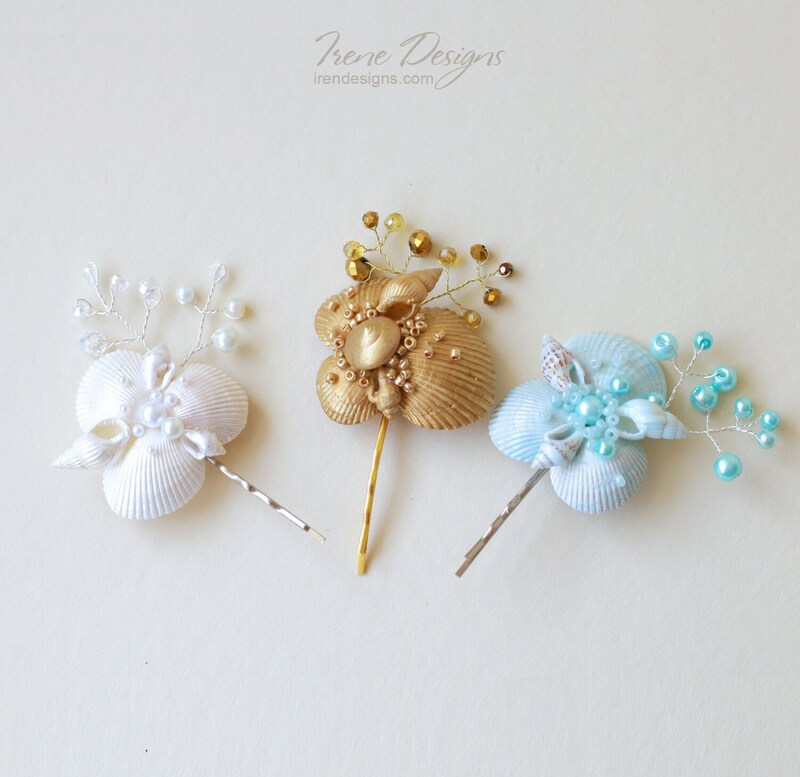 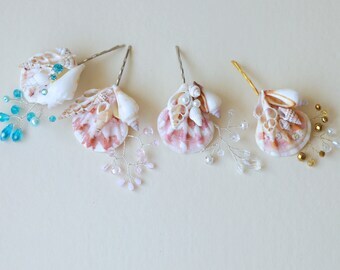 One handmade bobby pin decorated with seashells and twigs with crystals and beads. 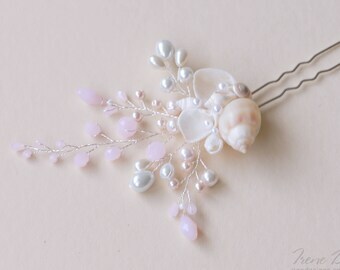 The perfect little hair accessory to add to your hair for every day, or for your beach wedding. 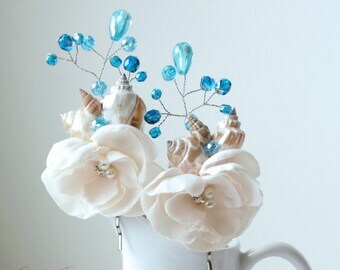 The item is nice,but only 1 issue that is the item still smells from painting.